Baton Rouge, La. - In conjunction with a series of Made in Rural America Executive Actions announced by President Obama and the White House, the U.S. Department of Agriculture (USDA) has released data showing the opportunities for agriculture of the Trans Pacific Partnership (TPP) to help boost agricultural exports across the 50 United States. TPP is a 21st century trade agreement that will promote job growth, increase farm income, generate greater rural economic activity, and help expand U.S. agricultural exports to some of the fastest growing countries in the Asia-Pacific region. USDA released its TPP data today after President Obama announced a set of new executive actions to help grow manufacturing in rural areas and to provide new markets to small businesses across our nation's heartland. The President's announcement underscored the White House's "Made in Rural America" initiative launched in February 2014 and co-led by Agriculture Secretary Tom Vilsack. Soybeans and Soybean Products: Under the Agreement, tariffs across the TPP region will be cut, offering new market access opportunities to U.S. producers and exporters of soybeans and soybean products. In 2014 the United States exported $5.5 billion of this product to the TPP region. Poultry and Beef: Under the Agreement, tariffs across the TPP region will be cut, offering new market access opportunities to U.S. poultry and beef producers and exporters. In 2014, the United States exported about $7 billion in poultry and beef to the TPP region. Fresh Fruits and Fresh and Processed Vegetables: Under the Agreement, tariffs across the TPP region will be cut, offering new market access opportunities to producers and exporters of U.S. fresh fruits and fresh and processed vegetables. In 2014, the United States exported about $8.1 billion of these products to the TPP region. Trade is a vital contributor to the U.S. economy. More than 95 percent of the world's potential consumers, representing nearly 80 percent of the world's purchasing power, live outside our borders. To learn how the TPP would benefit your state's food and agricultural economy, visit www.fas.usda.gov/topics/trans-pacific-partnership-tpp. Baton Rouge, La. - The Southern University Ag Center’s Livestock Show held a ‘Beef Showmen’ workshop for St. Helena 4-H Livestock Exhibitors on Sunday, February 8 in Greensburg, La. The students received classroom experience and hands-on instruction on how to present their animals and themselves during a livestock show. Monroe also discussed what participates need to compete in a livestock show, what to expect during the show and how to show their animals. The exhibitors were also given the opportunity to walk their animal and receive critics on what they may have been doing wrong, as well as, participate in a mock show where they were all judged and placed. Cattle owners were also provided with tips to make the transition into the show’s barn a little easier for their animals. Monroe pointed out that like people, animals can get stressed out. She suggested leaving a light on, placing a radio in the pen and brushing their animals’ every day to help reduce the livestock’s stress level. This workshop was arranged by Angela Myles with the LSU AgCenter and Ahmad Robertson with the Southern University Ag Center. Kahlila Bandele delivers "Ballad of the Land Lord"
Baton Rouge, La. 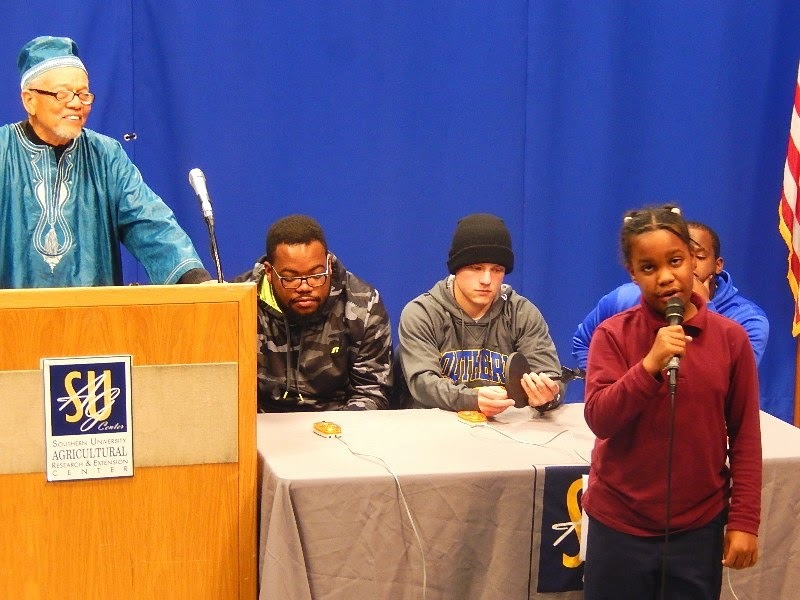 - The SU Ag Center and the Division of Agricultural, Family and Consumer Sciences held the 21st Annual Black History Quiz Bowl on Wednesday, February 25. The competition brought together top minds on the Southern University campus and this year, the team “Think Smart” won first place. The second place went to the “Bad Company” team; “Nefertiti’s Daughters” took home 3rd place while the “Urban Foresters” placed 4th. 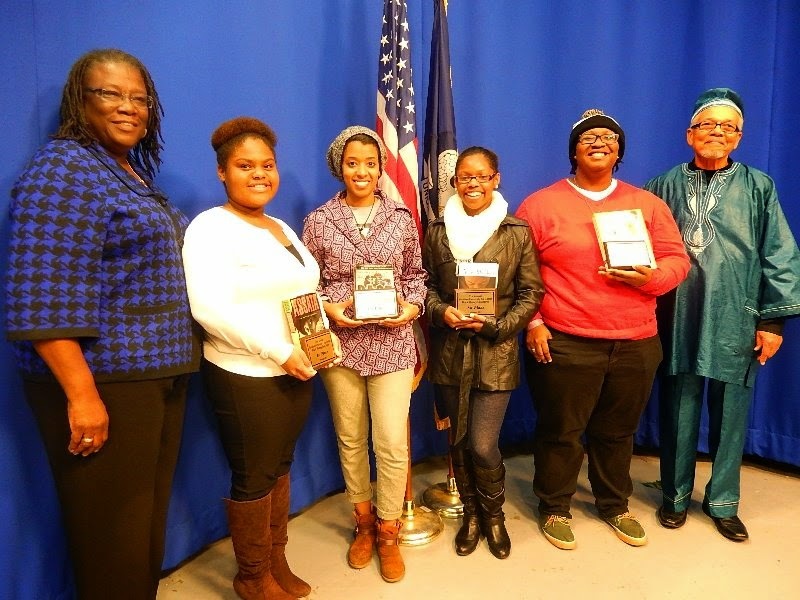 The top four teams took home plaques and each contestant had a choice of a book from the Bowl collection. Each team consisted of four players, one of whom served as captain. Bowl topics included a wide variety of questions from academia to sports, books, current and past events and much more. In previous years, teams have included high school and college students in the Baton Rouge area and as far as New Orleans under the leadership of Owusu Bandele, Professor Emeritus in Horticulture. “It’s all about preparation, an important part of student development in terms of understanding, appreciating, and being inspired by our history throughout the world,” said Dr. Bandele. The highlight of this competition was a rendition of Langston Hughes’ “Ballad of the Land Lord” by ten-year old Kahlila Bandele. Baton Rouge, La. - USDA Offers Renewal Option for Expiring Conservation Stewardship Program Contracts, Extends Deadline For General Sign-Up Applications. NRCS Chief Jason Weller announced that the U.S. Department of Agriculture is offering a renewal option through Tuesday, March 31, 2015, for eligible agricultural producers and forest landowners with expiring Conservation Stewardship program (CSP) contracts. These producers must be willing to adopt additional conservation activities aimed at helping higher levels of conservation on their farms, forests and ranches. USDA will also extend the deadline for general sign-up CSP applications until Friday, March 13, 2015, providing farmers, ranchers and private forest managers two additional weeks to apply for this funding round of $100 million. Baton Rouge, La. – The U.S. Department of Agriculture's (USDA) National Institute of Food and Agriculture (NIFA) announced the availability of $9 million in funding to assist low-income individuals and communities in developing local and independent food systems. NIFA is funding the grants through the Community Food Projects program (CFP), authorized by the Agricultural Act of 2014 (Farm Bill). "Community Foods Projects provide the opportunity for low-income communities to become more self-reliant and take control of their own food systems," said Sonny Ramaswamy, NIFA director. "These projects create food systems that are economically equitable and socially and environmentally sustainable, providing real solutions for communities most in need." Community Food Projects involve the entire food system. Projects assess strengths and establish connections among existing food systems, resulting in improved food systems that support self-reliance. Grants are intended to help eligible, private, nonprofit entities in need of a one-time installment of federal assistance to establish and carry out multipurpose community food projects. Projects are funded from $10,000 to $300,000 and up to 36 months. All grants require a dollar-for-dollar match in resources. Applications are due March 17, 2015. Please see the request for applications for specific program requirements. CFP is an important part of USDA's Know Your Farmer, Know Your Food initiative, which works to strengthen and support local and regional food systems. More information on the initiative, including an interactive map of CFP and other federally-supported local food projects, can be found at: www.usda.gov/knowyourfarmer. The primary goals of the Community Food Projects program are to (1) meet the food needs of low-income individuals; (2) increase the food self-reliance of low-income communities; (3) promote comprehensive responses to local food, farm and nutrition issues; and (4) meet specific state, local or neighborhood food and agricultural needs, including needs relating to infrastructure improvement and development, planning for long-term solutions and the creation of innovative marketing activities that mutually benefit agricultural producers and low-income consumers. 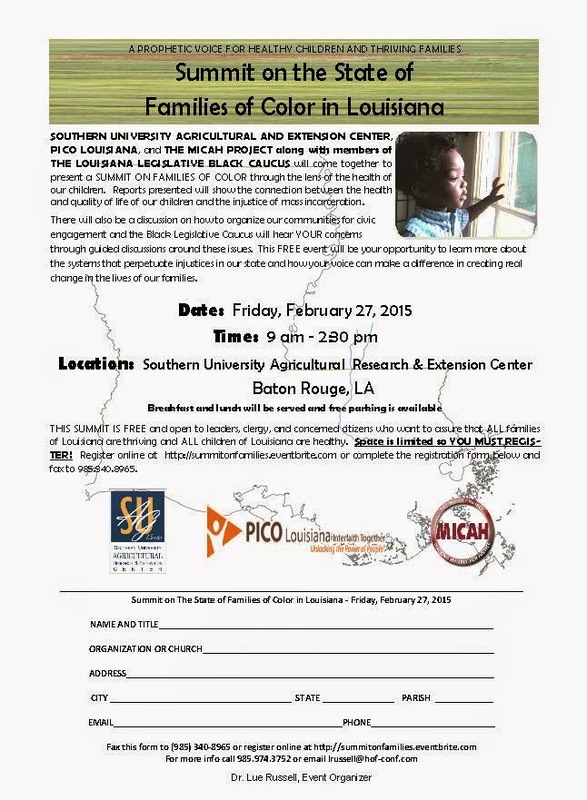 Baton Rouge, LA- The Southern University Ag Center along with PICO Louisiana, the Micah Project and members of the Louisiana Legislative Black Caucus will co-host a summit on the “State of Families of Color in Louisiana.” The event will be held on February 27 from 9 a.m. – 2:30 p.m. at the Southern University Ag Center, 181 B.A. Little Drive. Summit attendees will also have an opportunity to learn about some successful programs offered through the Southern University Ag Center. These programs are helping families and children meet the challenges encountered in today’s society. Members of the Louisiana Legislative Black Caucus will participate and use the information gathered during the summit to formulate policy legislations. The summit is free and open to community leaders, clergy and concerned citizens, but space is limited and registration is required. Interested individuals can register online at, summitomfamilies.eventbrite.com. Individuals can also receive a paper registration form by contacting Dr. Lue Russell at, 985.974.3752 or via e-mail at lrussell@hof.conf.com. Baton Rouge, La. - The SU Ag Center and the Division of Agricultural, Family and Consumer Sciences will host the 21st Annual Black History Quiz Bowl on Wednesday, February 25, 2015 at 3:00 p.m. in the Southern University Agricultural Research and Extension Center Auditorium. Each team will consist of four players, one of whom should serve as captain. Divisions and organizations can form more than one team if they so choose, and are encouraged to do so. Competition is open to all students. Books and plaques will be awarded. Teams must sign the roster in the Dean's complex by Wednesday, February 18, 2015 in order to participate. A variety of topics will be covered, including current events, politics, history, sports and entertainment. A study guide is attached. Study guide and students registration are also available via email at obandele@cox.net. Registration forms are also available in the Division of Agriculture, Family and Consumer Science Office in Fisher Hall, Rm 102. Baton Rouge, La. 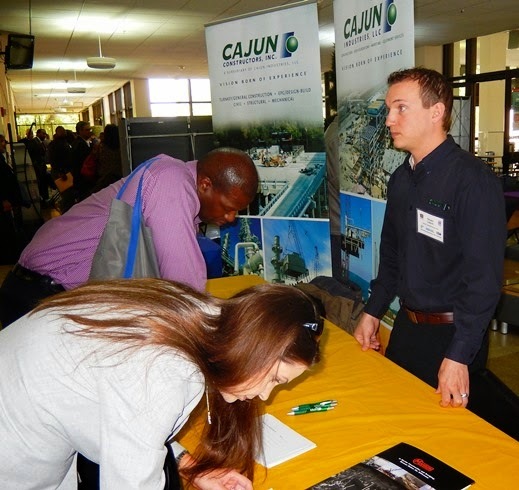 – The Center for Rural and Small Business Development at the Southern University Agricultural Research and Extension Center will hold the annual Procurement Opportunities Conference on April 9, 2015 to connect businesses with contracts. Louisiana Small Business Development Centers in Baton Rouge and Lafayette, U. S. Small Business Administration, Louisiana State Licensing Board for Contractors, Louisiana Procurement Technical Assistance Center, the Southern University College of Business, and many more partners will collaborate on this event which starts promptly at 8:00 a.m.–3:00 p.m. The event will take place in the Southern University A & M College’s Smith-Brown Memorial Student Union Cotillion Ballroom. The goal of the Center and its partners is to assist rural communities, create and develop matchmaking outcomes, encourage and enhance serious networking possibilities, educate and strengthen community leaders and residents in their business and economic development activities that will benefit individuals, households, contractors, and communities for generations. Attendees will include 200-300 individuals, potential and existing business owners, contractors, non-profits, small towns, municipalities, and others who will receive information from presenters and exhibitors concerning businesses and contracts, sources of assistance, the process of registering and obtaining licensing, and methods of financing. There will be representatives from the United States Small Business Administration available to discuss relevant SBA programs, guarantees, certification process, bonds and surety, GO Loans, and disaster loans. Should individuals want to become licensed or an existing contractor needs to increase their existing knowledge, the Louisiana State Contractor Licensing Department will be available. This conference is power packed to the economic, business, and community growth. The conference is free, but pre-registration is required. Participant registration forms can be faxed to (337) 482-5837 or e-mail prs6182@louisiana.edu by April 1 to pre-register. Click here to download Registration Forms in PDF format. 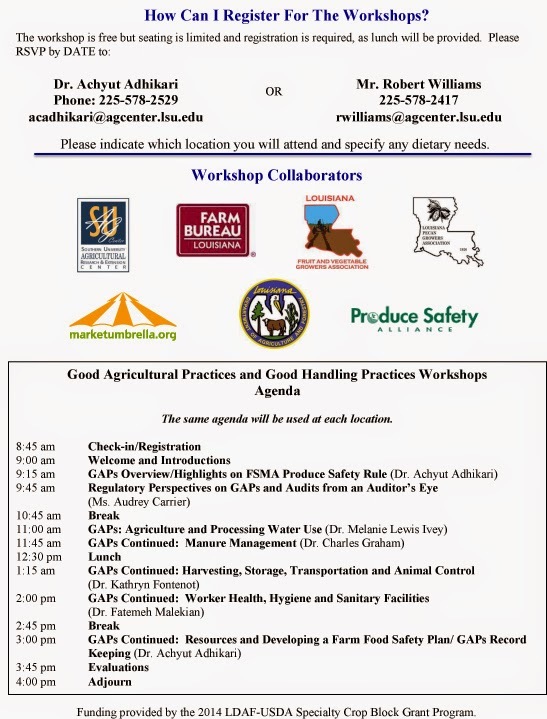 Baton Rouge, LA - Southern University Ag Center’s Dr. Fatemeh Malekian will be a featured presenter during the Louisiana State University AgCenter’s Good Agricultural Practices (GAPs) & Good Handling Practices (GHPs) Workshop Series. This series of workshops will aid individuals who grow fresh produce in understanding food safety risks and enable them to develop an on-farm food safety plan. Dr. Malekian’s presentation will focus on the topic of worker health, hygiene and sanitary facilities. Other topics to be covered during the workshop include water quality and management, manure management, harvesting and storage and recordkeeping systems. The workshops are free and open to fresh produce growers, packers, processors and extension agents but registration is required, as lunch will be provided. To register, contact Mr. Robert Williams at 225.578.2417 or via e-mail at rwilliams@agcenter.lsu.edu or Dr. Achyut Adhikari at 225.578.2529 or via e-mail at acadhikari@agcenter.lsu.edu. Please indicate the location you will attend and specify any dietary needs when registering. Baton Rouge, LA – The Southern University Ag Center will join in celebrating National Ag Day in recognition of the abundance provided by American agriculture. The event is set for Wednesday, March 18, from 9:30 am-11:30 am at the Smith-Brown Memorial Student Union, Southern University in Baton Rouge. It's a day to recognize and celebrate the abundance provided by agriculture. Every year, producers, agricultural associations, corporations, universities, government agencies and countless others across America join together to recognize the contributions of agriculture. Agriculture provides almost everything we eat, use and wear on a daily basis. But too few people truly understand this contribution. This is particularly the case in our schools, where students may only be exposed to agriculture if they enroll in related vocational training. Each American farmer feeds more than 144 people ... a dramatic increase from 25 people in the 1960s. Quite simply, American agriculture is doing more - and doing it better. As the world population soars, there is an even greater demand for the food and fiber produced in the United States. 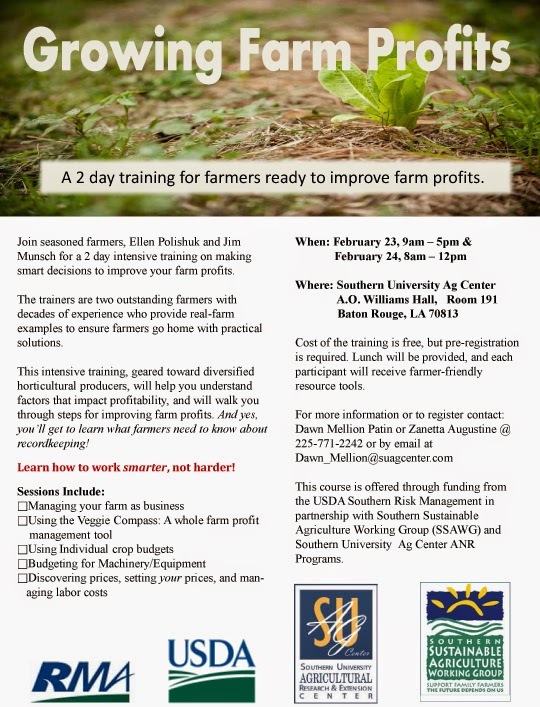 Baton Rouge, LA- The Southern University Ag Center’s Agricultural and Natural Resources (ANR) Programs will host a “Growing Farm Profits” workshop from 9 a.m. – 5 p.m. on Feb. 23 and from 8 a.m. – noon on Feb. 24. The two-day intensive training is geared toward diversifying horticultural producers by helping farmers make smarter decisions to improve their profits. Ellen Polishuk and Jim Munsch, outstanding farmers with decades of experience, will walk farmers through the steps for improving farm profits by providing real-farm examples to ensure farmers go home with a clear understanding of recordkeeping and practical solutions to help increase their profits. This training is free of charge but pre-registration is required. Lunch will be provided and each participant will receive farmer-friendly resource tools. To register for the workshop or to obtain additional information, contact Dawn Mellion-Patin or Zanetta Augustine @ 225-771-2242 or by email at dawn_mellion@suagcenter.com. This course is offered through funding from the USDA Southern Risk Management in partnership with the SU Ag Center ANR Programs and the Southern Sustainable Agriculture Working Group (SSAWG). This article was written by Charles Paul, student worker for the Office of Technology & Communications at the Southern University Agricultural Research & Extension Center. Baton Rouge, La – The Southern University Agricultural Research & Extension Center in conjunction with the Outstanding Mature Girlz Organization will host a “Sewing with Love,” workshop. This workshop will be held on Saturday, February 14, 2015 from 9 a.m -1 p.m. at the St. Helena College & Career Academy in Greensburg, LA. 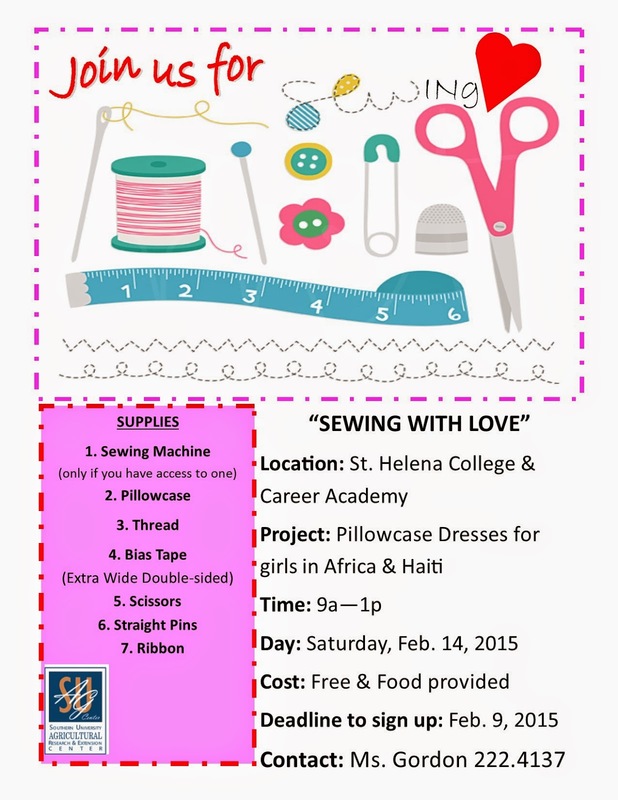 Young ladies who attend this workshop will learn the basic fundamentals of sewing, by creating pillowcase dresses to send to girls in Africa and Haiti. For more information on the 'Sewing with Love' project, contact Nicolette Gordon in St. Helena Parish on Tuesday and Thursday at 225-222-4136 and in Tangipahoa Parish on Monday, Wednesday and Friday at 985-748-9381. 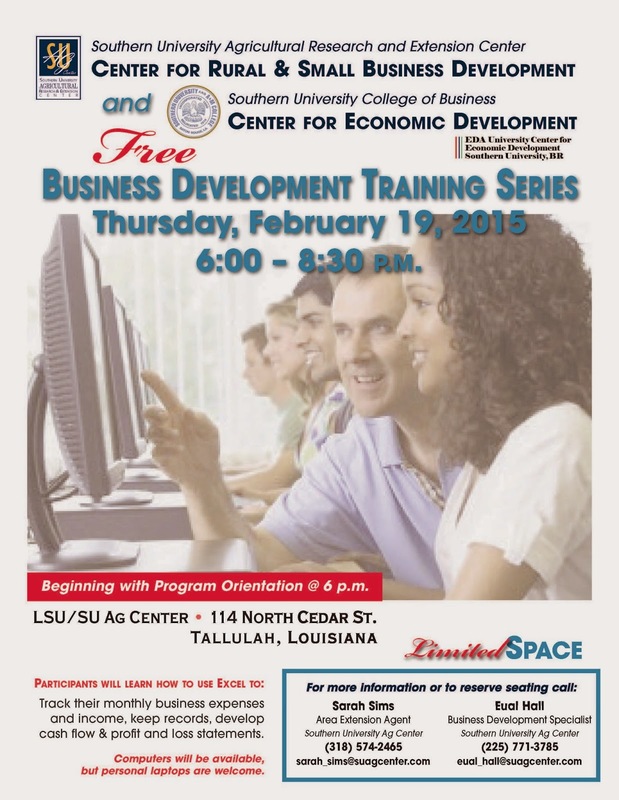 Baton Rouge, LA – Free business development trainings for individuals and small businesses will be held in the City of Tallulah. 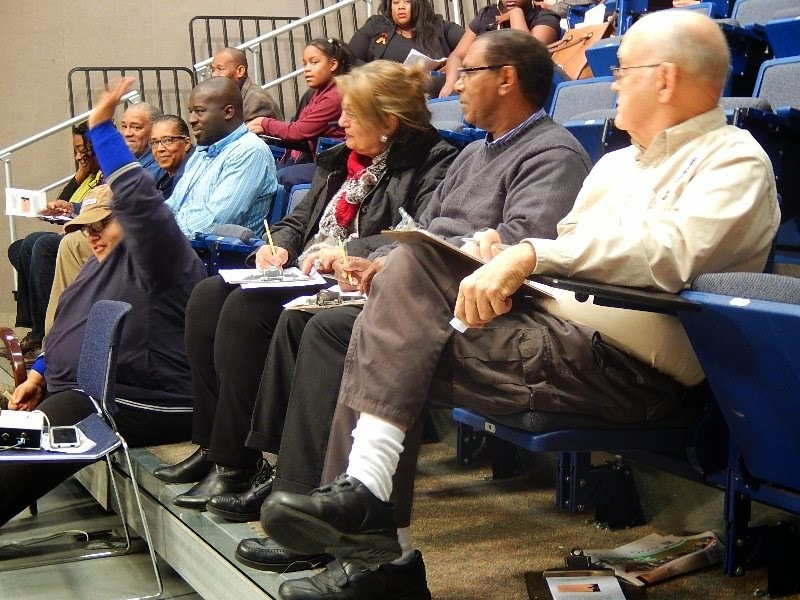 The series of trainings are being hosted by the Center for Rural and Small Business Development at the Southern University Ag Center, in collaboration with the Economic Development Administration University Center (EDAUC) in the College of Business at Southern University’s Baton Rouge campus. These training sessions are being held in an effort to boost the economy of the area. The first session will begin with an orientation at 6 p.m. on Feb. 19 in the LSU/SU Ag Center, 114 North Cedar Street, Tallulah, LA 71282. Everyone interested in participating in the training series is encouraged to attend the orientation to receive information on the expected outcomes of the trainings. An excel training for individuals and small business owners will immediately follow the orientation. For additional information or to pre-register for the training series, contact Mrs. Sarah Sims at 318.574.2465. BATON ROUGE, La. 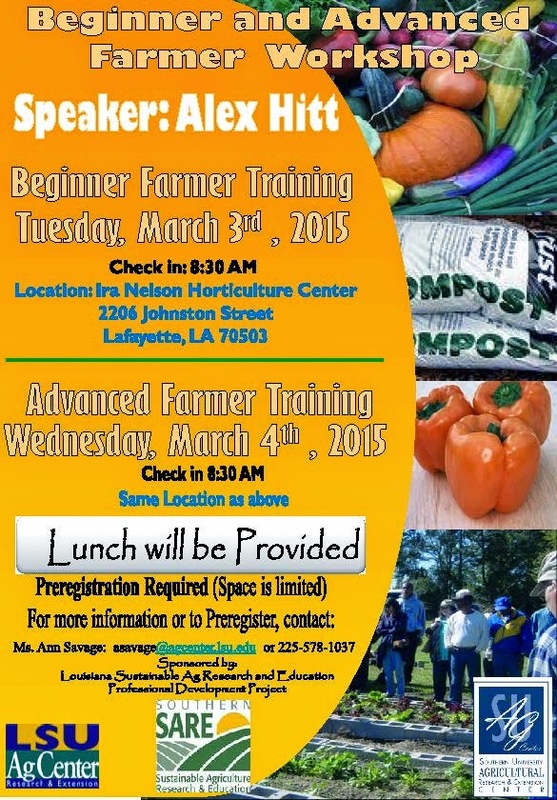 – The Southern University Ag Center will participate in a workshop targeting beginning and advanced farmers on Tuesday, March 3rd at the Ira Nelson Horticulture Center in Lafayette starting at 8:30 am. Alex Hitt will serve as keynote speaker. Pre-registration is required as space is limited. To register, please contact Ann Savage: asavage@agcenter.lsu.edu or 225-578-1037. Lunch will be provided. 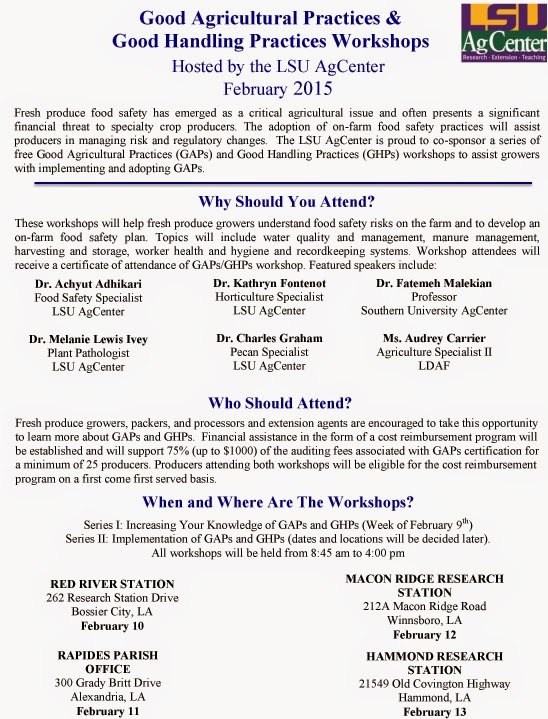 This workshop is sponsored by Louisiana Sustainable Ag Research and Education Professional Development Project. 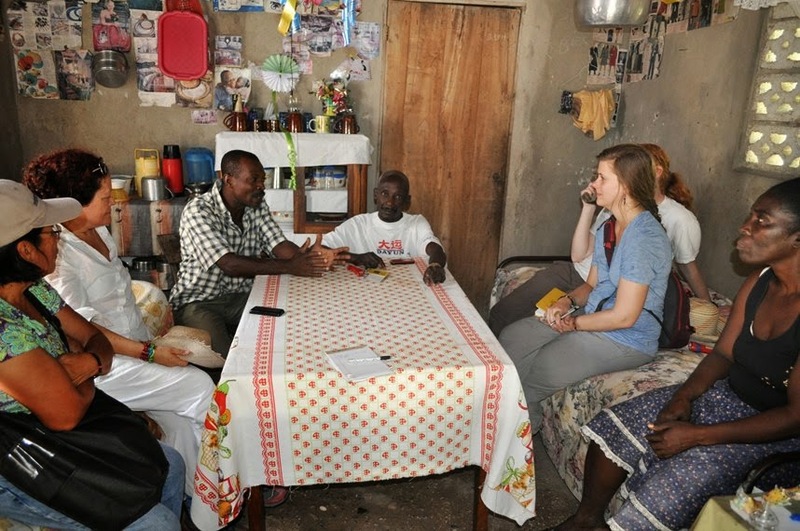 LSU and Southern University group visits the home of the leader of the local farmer cooperative in Cayes-Jacmel. Photo by Carl Motsenbocker. BATON ROUGE, La. – Southern University Ag Center’s research associate, Mila Berhane joined Carl Motsenbocker and a group from Louisiana State University on trip to Haiti in January with ideas on how to engage LSU students and the community in developing sustainable agriculture projects in the Caribbean country. Motsenbocker, a horticulture professor in the LSU College of Agriculture, traveled to Haiti with Ann Savage, an LSU AgCenter sustainable agriculture extension associate, and Anna Claire Ferchaud, a College of Agriculture senior studying natural resource ecology and management. The group left Baton Rouge for Haiti on Jan. 1 and was there for 10 days. Motsenbocker describes the trip as a sustainable agriculture excursion to look at the local food systems in Haiti, assess needs at three Haitian sites and work with collaborators to support agricultural development. The group was also exploring opportunities for student and faculty exchanges. “One of my goals is to develop a sustainable agriculture and food systems class that I will teach in spring 2016, with an optional trip to Haiti during spring break,” Motsenbocker said. The Southern University and LSU group visited villagers in three areas of the country to identify potential projects. Berhane and Motsenbocker presented lectures to Centre de Formation Fritz Lafontant agriculture students. They also worked with the students from the school and conducted a hands-on lab to plant vegetables using trickle irrigation and demonstrated a simple bucket irrigation kit. Baton Rouge, La. - Through the “Eradicating Food Deserts Through School Gardens” USDA/NIFA grant, Southern University Ag Center’s Extension Associate, Stephanie Elwood teaches weekly environmental stewardship and empowerment classes at three local schools. The Food Deserts grant is an on-going project at three local Baton Rouge schools: Scotlandville Pre-Engineering Middle School, Scotlandville High, and Southern Laboratory School. More than 80 Baton Rouge youth are educated through this program. Each school has a garden on its campus and the garden is the main focus of the lessons. In addition to hands-on gardening outdoors, innovative growing techniques such as growing micro-greens are being taught to the middle and high school students. Participants at Southern Lab are highlighted with their work in growing micro-greens. Growing micro-greens is a technique becoming more and more popular in urban farming that includes growing seeds in containers in small spaces and even indoors where adequate light is available. This technique allows students to plant flats or containers with the specific micro-green seeds and to actually consume the micro-greens only two weeks after planting the seeds. Micro-greens are popular in elegant restaurants. 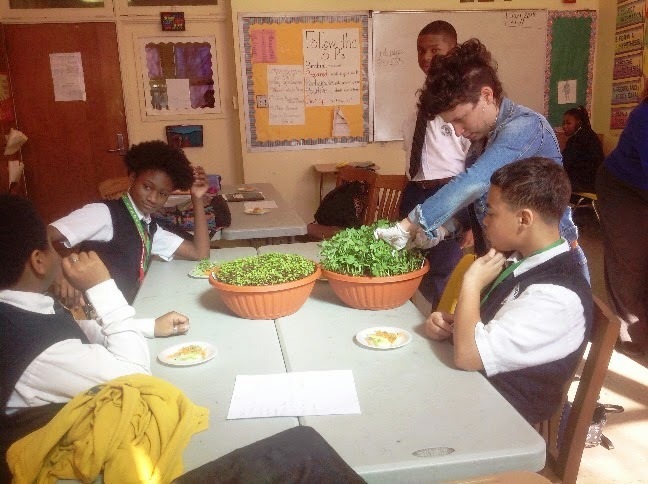 Teaching this skill to youth creates a possible opportunity for them to utilize the skill in the future to create a small micro-greens business and sell to local restaurants for garnish or to be put into salads for flavor. At Southern University Lab. School, Mrs. Carter-Robinson’s 7th grade class has been growing sugar snap pea shoots and a braising greens mix (mustard greens, red mustard, pak choi etc.). The students started their micro-greens two weeks prior to the date they were actually able to consume them in the classroom. They made fresh salads out of cucumber and carrots and garnished the salads with their elegant micro-greens. 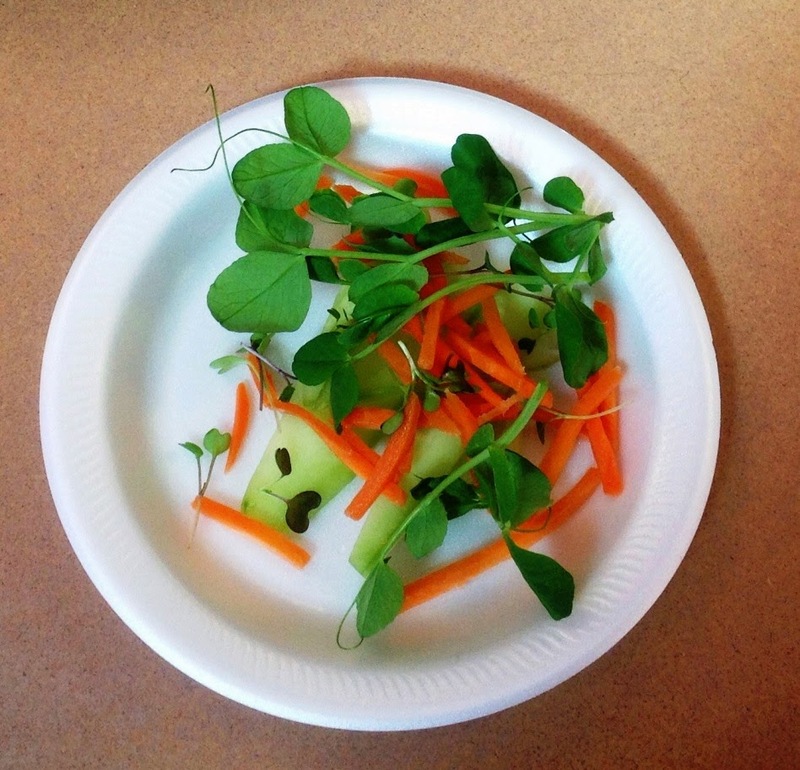 The cultivation of micro-greens teaches the students an additional entrepreneurial skill, and that healthy foods can be grown anywhere and in a quick and exciting way. 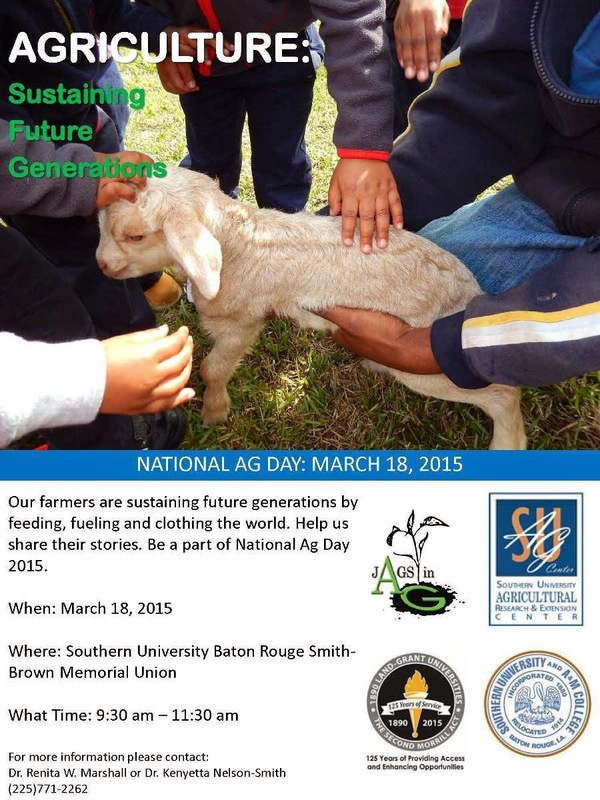 Baton Rouge, LA – More than 200 budding farmers, some as young as seven-years-old, from throughout Louisiana will gather at the Maurice A. Edmond Livestock Arena in Baton Rouge for the Southern University Agricultural Research & Extension Center’s 72nd Annual Livestock & Poultry Show on March 5-7, 2015. The youth are expected to bring almost 300 head of prize worthy beef and dairy cattle, hogs, sheep, lamb and goats to compete for the title of state champion in their categories. These animals have been showcased or have won a parish competition before competing at this event. Animals will begin weighting in at 11 a.m. on March 5. Judging for the beef and dairy cattle will begin at 6:30 p.m. that evening. All other animals will be judged on March 6. Besides animals being judged for competition, this year’s livestock show will feature a mini-farm, guided tours for school groups, a livestock and poultry quiz bowl, face painting, food, craft booths, a magic show, and the Hall of Louisiana Agriculture. An awards presentation for youth of champion market animals will be held Saturday, March 7 at 8 a.m. and a Junior Auction Sale will begin 10:30 am. Meat buyers are encouraged to come to the auction to bid on the show’s meat. All proceeds from the meat purchases go directly to the participating youth. For further information, please contact Christie Monroe at christie_monroe@suagcenter.com or 225.771.4350.